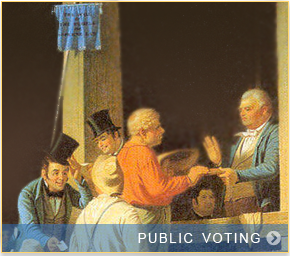 Two mid-nineteenth century cities -- Alexandria, Virginia and Newport, Kentucky -- shared a common voting arrangement: both states required all votes in all elections to be cast in public by voice (viva voce). The poll books provided an official written record of every voter's spoken declaration. Professor Don DeBats presents and analyses this data on the pages below. This project reveals the world of American politics at a time when every citizen's vote was public knowledge, and how social identity influenced votes. 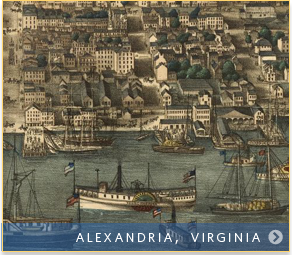 On the Potomac just opposite Washington DC, Alexandria was a thriving commercial city based on slave labor in the late 1850's as the secession crisis loomed. 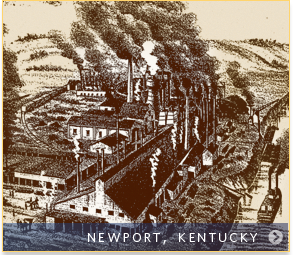 On the Ohio just opposite Cincinnati, Newport was, as the Panic of 1873 crashed down, a thriving industrial city based on immigrant labor.